Did you know that January is the best time to buy bed and bath linens? It's true. Pillow cases, towels...they are all on sale in January. 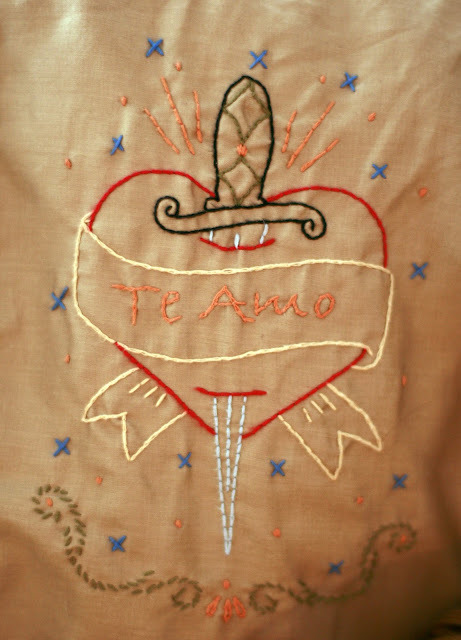 Keep in mind that Valentine's Day is right around the corner and if you are tired of traditional gifts or maybe you are just fresh out of ideas, pick up a set of pillowcases (on sale) and embroider something along the side, it's an inexpensive gift. 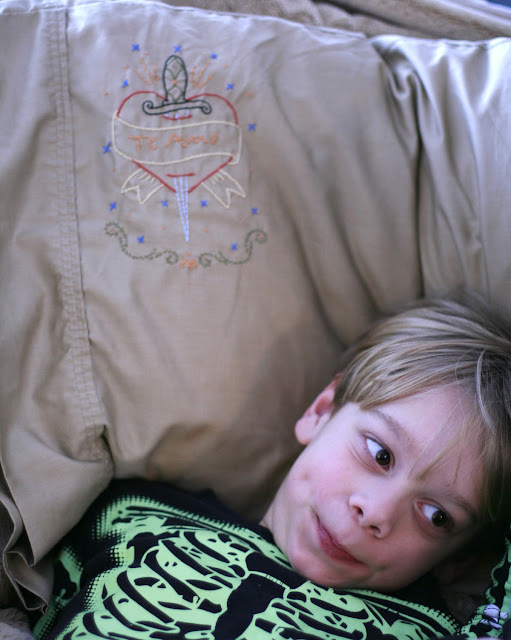 Embroidered pillowcases also make great mother's day gifts! I purchased the Sublime Stitching Craft Pad and I've used it for numerous embroidery projects. Check out here and here. With these pillow cases I added a special message, along the banner by writing it first freehand with pencil right on the fabric and then embroidering it. What a great way to tell the person you love that you hold them close to your heart. You are so full of great ideas. Thanks for sharing.